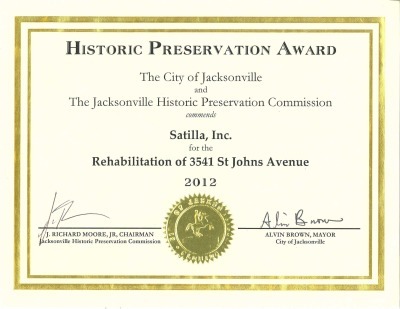 At Satilla, historic preservation, adaptive reuse and environmental sustainability are a part of our mission. We are a LEED certified builder, and our work has been recognized by the Riverside Avondale Preservation Society, one of the strongest historic neighborhood preservation organizations in the country. 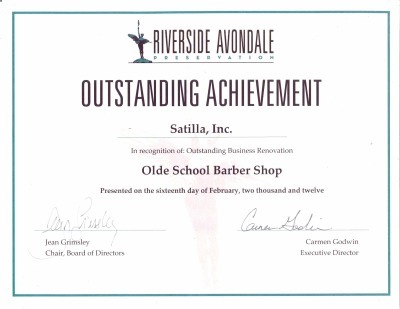 RAP presented Satilla Inc. with the Preservation Award for the extensive restoration of the Old School Barber Shop in the Shoppes of Avondale.